Compare this to SK3030 : Findern Methodist Church taken about 3 years earlier. 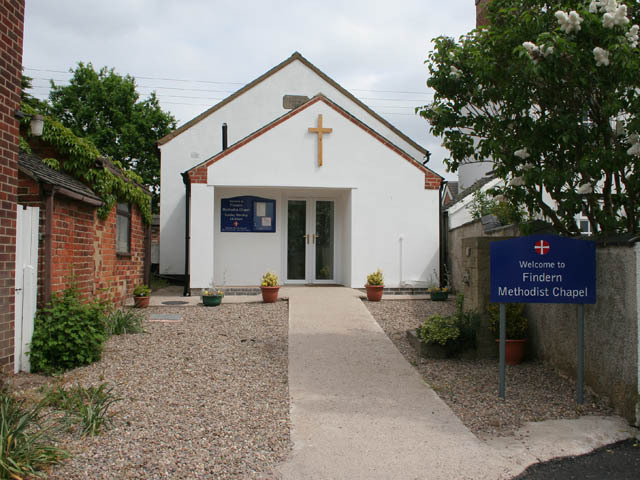 The Methodist congregation had a vision that they were called to be “.... an expression of our loving, giving God, enabling others to find inner peace through Jesus Christ”. To make this become a reality they set about transforming the church building. Each Wednesday afternoon coffee and cake are offered to anyone passing by. Except if you call in on the first Wednesday of the month as that's Lunch Club! Unfortunately it was a Tuesday when I was in the village!